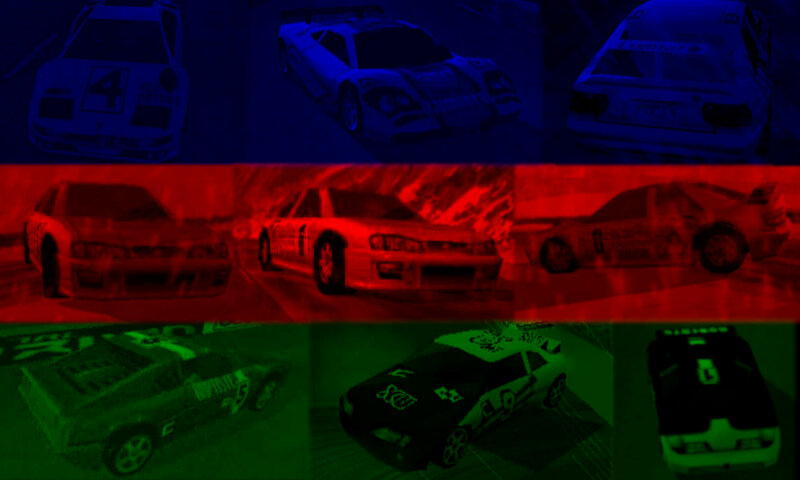 Sweden is one of the three secret split-screen** locales available in Total Drivin’ / M6 Turbo Racing / Gekisou Grand Racing, alongside USA and Japan. 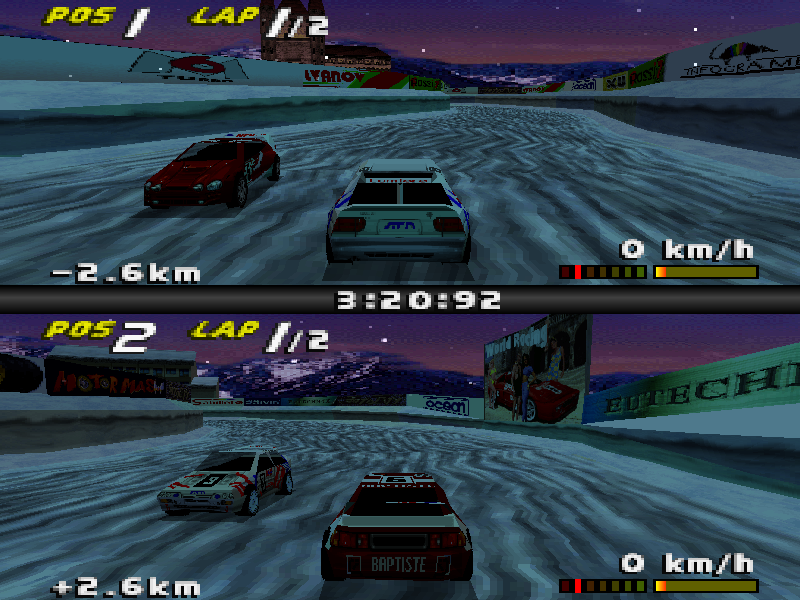 It features a snowy track that resembles Switzerland, but it can only be played in Split-Screen mode. 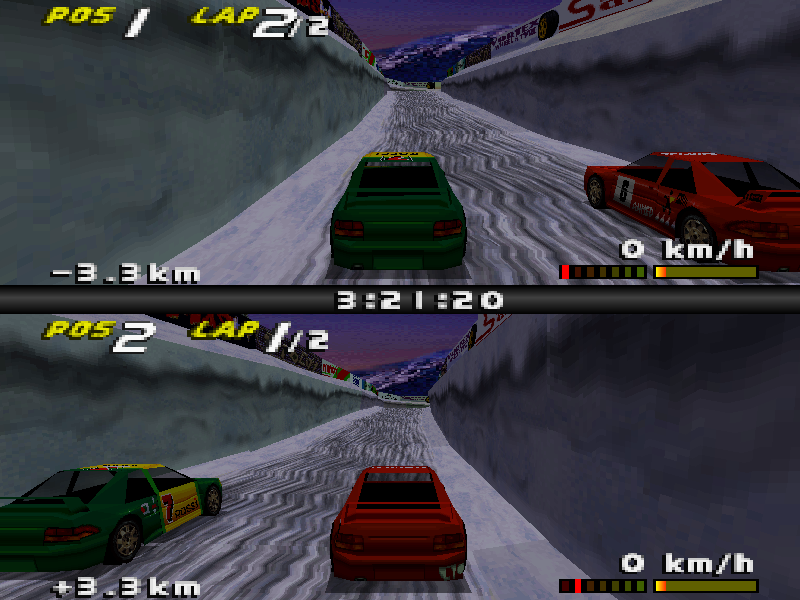 Players drive Rally cars on both Sweden A (darker) and Sweden B (brighter). 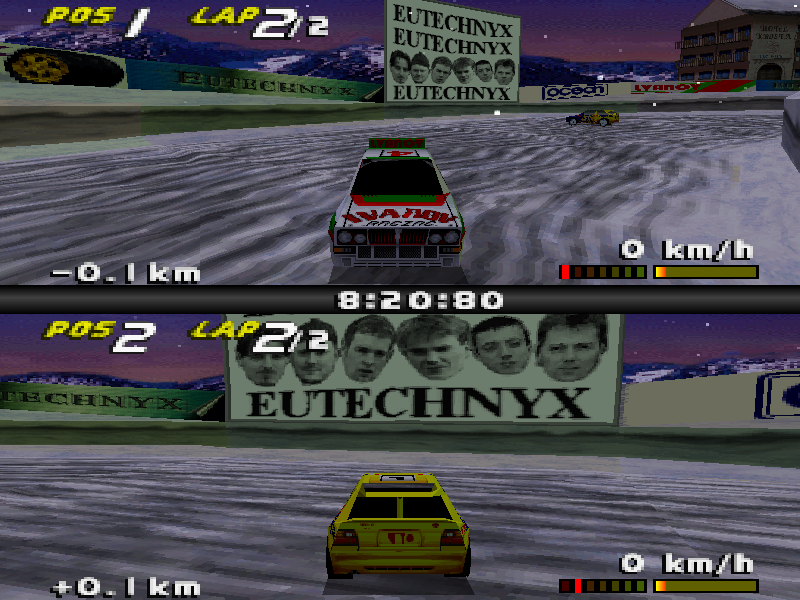 On the track, many different signs representing several teams, can be seen on top of the walls, except the inside of the tunnel.